"With this new ticket shop, we are taking a step towards the future. For us it was important to make online ticket sales more user-friendly for our supporters. Because of the good and close cooperation with a company like CM.com, I think we truly succeeded. In addition, with the new system we are also ready to reinforce a number of other new initiatives, such as secondary ticketing. "In co-creation with NAC Breda we continuously look at how the mobile communication, ticketing, mobile payment and data applications of the CM.com platform can be used more optimal in the football and sports market. The launch of the NAC Breda ticketshop is a successful example of this. 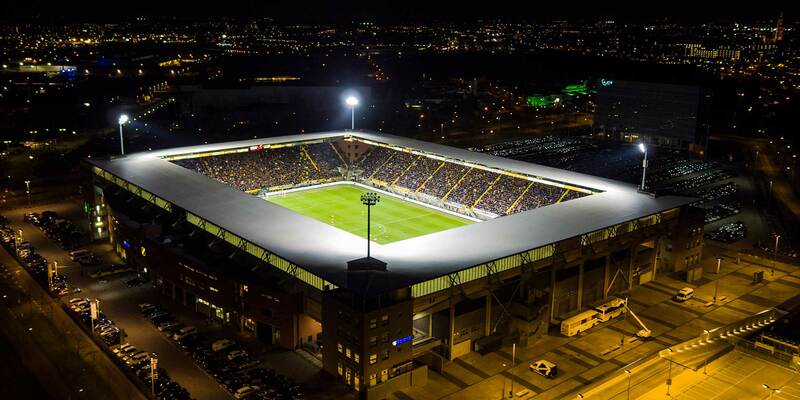 We look forward to launching the following developments with NAC Breda." In the coming period, NAC Breda and CM.com will continue to develop the ticketing platform. It will be possible for the 1912 members and season ticket holders to offer their place to other supporters if they have to miss an evening at NAC. This secondary ticketing system is gradually being added in the second half of the season. Other initiatives will soon be launched to make the purchase process even easier. This could include the direct display of free chairs in the vicinity of the chair of the season ticket holders. So season ticket holders can easily take a friend or family member to a game. Read more about the co-creations between NAC Breda and CM.com in the publication: Customer Success Story - NAC Breda. Here you can read how football club NAC Breda uses the CM.com platform for strengthening fan relations, personalized communication and future developments for a more modern sport experience. Do you want to know more about Ticketing for sports organizations? is product marketer and shares the latest insights in the field of mobile ticketing and customer experience.